NGC 457 (the Owl Cluster or the ET Cluster) is an open star cluster in the constellation Cassiopeia. It lies over 7,900 light years away from the Sun. It has an estimated age of 21 million years. The cluster is sometimes referred by amateur astronomers as the Owl Cluster or the ET Cluster (due to its resemblance to the movie character). Two bright stars are magnitude 5 Phi-1 Cassiopeiae and magnitude 7 Phi-2 Cassiopeiae. 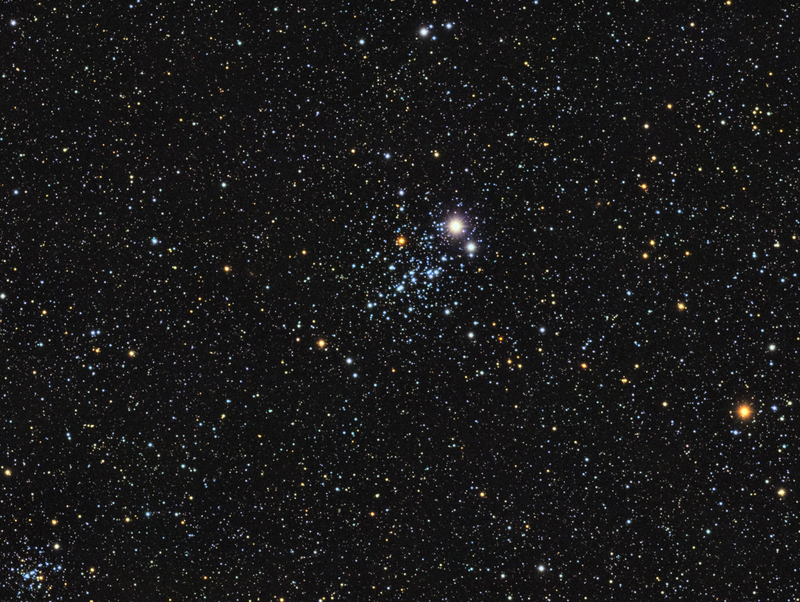 The cluster contains about 150 stars.